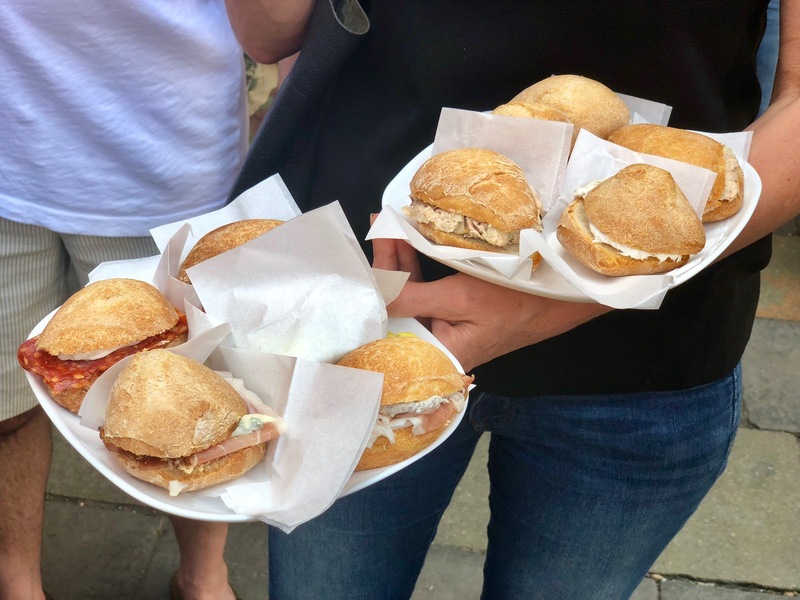 The Roman Guy’s Hidden Venice food tour was in fact last food tour of our Italy trip (queue very sad faces!) But it’s okay as we were able to discover this magically unique city by being guided around all of the best local food and drink spots with our guide, Elizabeth. 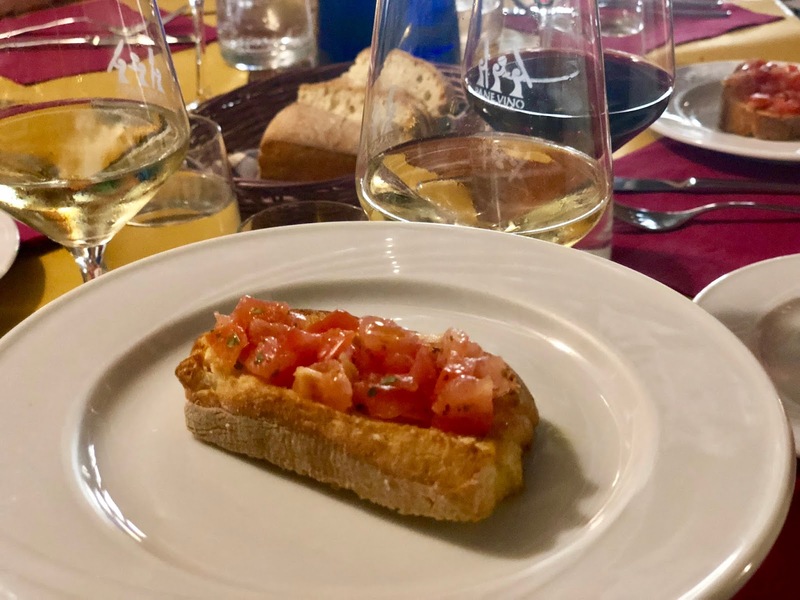 With an early morning start we expected to be eased into proceedings, however we should have known that this isn’t how Italians do things at all – prosecco for breakfast anyone? 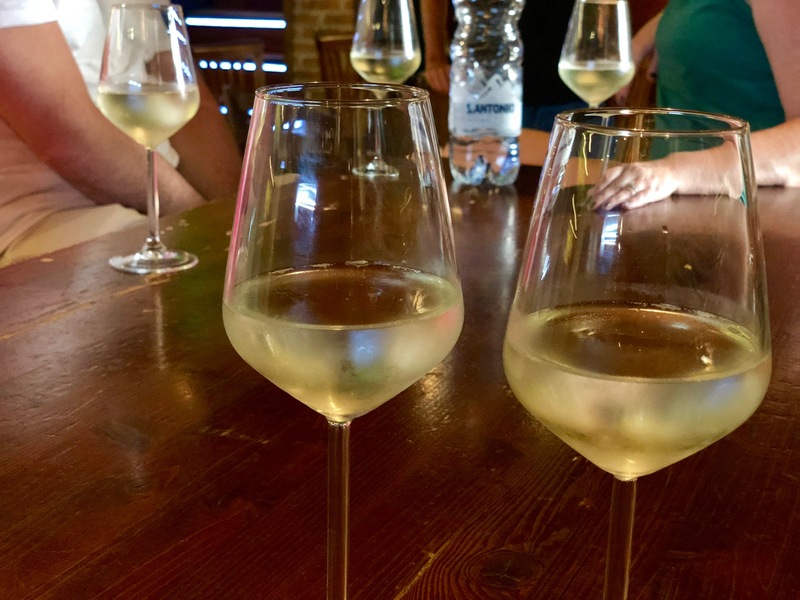 We had a glass of the finest Italian bubbly alongside chicchetti (meaning ‘a small and savoury snack’) in a hidden away bacari (a local wine bar). 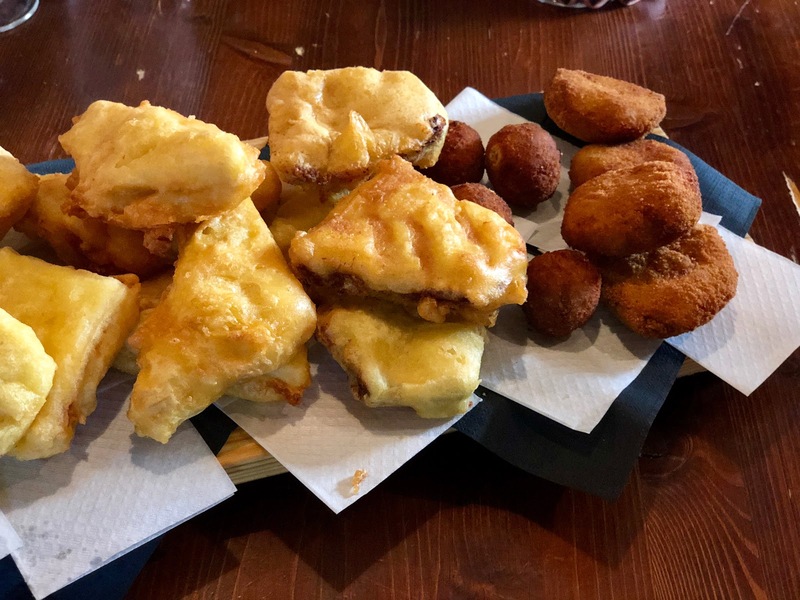 The deep fried chicchetti had all flavours including meatball, tuna, ham and salmon and these snacks were originally created to stop drinkers getting tipsy too quickly – we found the hard way that this is easily done in Italy. A trip to Venice wouldn’t be complete without a ride on a gondola. 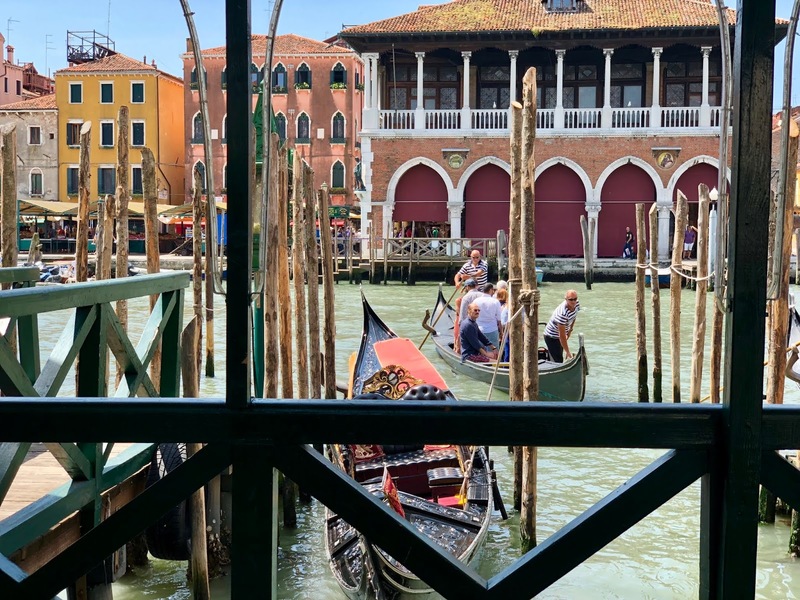 Luckily we avoided the frankly ridiculously prices of doing so with the tour’s short 2-minute gondola taxi ride from one side of the water to another! It went so quickly but at least we can say we’ve done it. Following the gondola and a walk around a local fish market, we were introduced to another variety of bacari. This time we were treated to a classically Italian Aperol Spritz, which again we massively enjoyed alongside sandwich cicchetti. You may have noticed an alcohol theme running through this tour – not a stop passed by without some variety of it passing our lips. The Italian slang word for a small glass of wine is called an ‘Ombra’ – meaning ‘shade’ in English and getting it’s name by people saying “let’s go drink in the shade” – so legend has it. 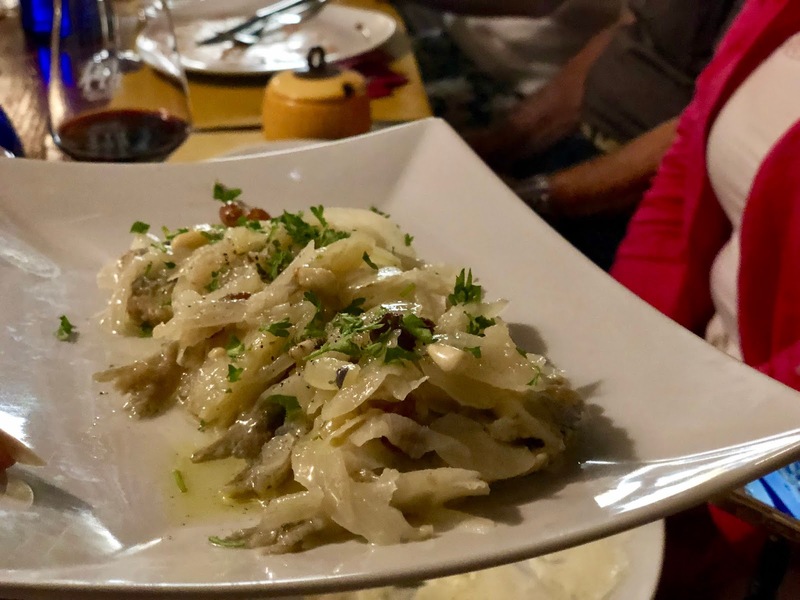 Stop number three gave us a taste of the local Ombra, as we also tucked into some of the best bruschetta and pasta in Venice! No Italian foodie experience would be complete without Gelato so our final stop brought us to Amorino. 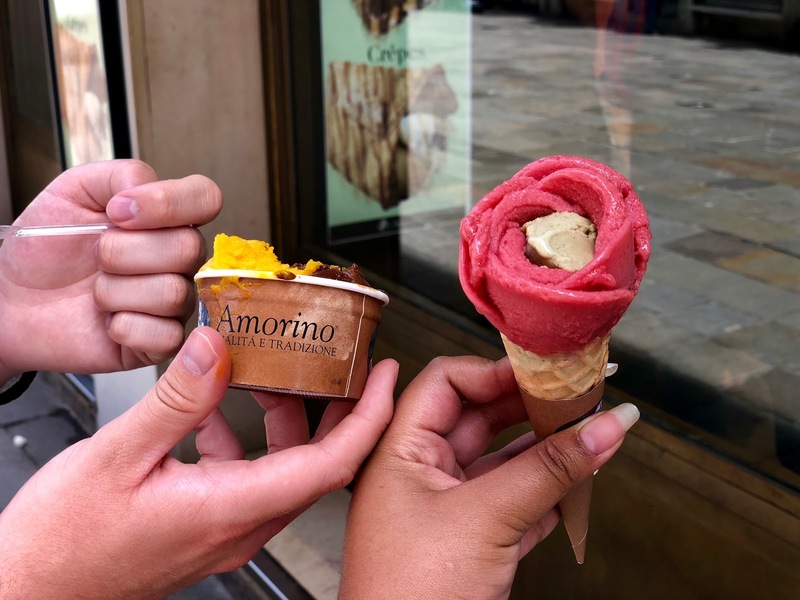 This gelato chain may have bases all round the globe, but it was born here in Italy and the roses that are made with the ice cream makes it look as good as it tastes. The Hidden Venice Food Tour allowed us to see Venice is a completely different way. We learnt how important food is and how for the locals, it is more than simply eating. It’s a way of life. A massive thank you to Elizabeth and all at The Roman Guy for having us. 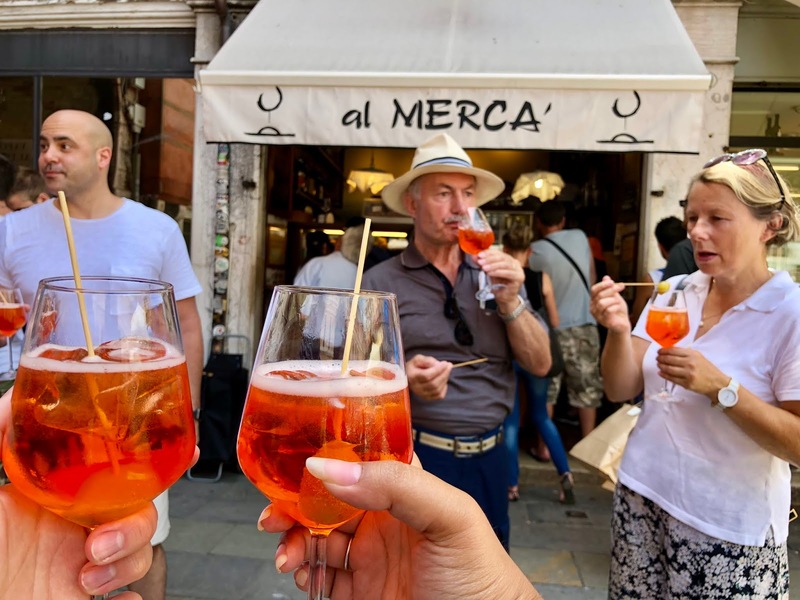 Disclaimer: we were given complimentary tickets to the Hidden Venice Food tour in exchange for a mention in this blog post and coverage on social media. However as always, all pictures and views are our own.